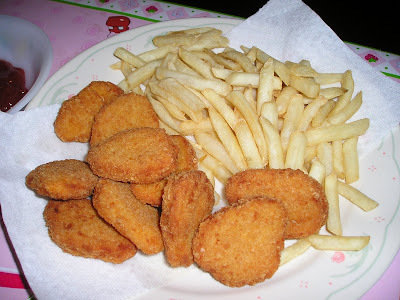 Last night was one of those nights where I am not in the mood to cook, so hubby took turns and just made some fries and chicken nuggets. That's what we don once in a while. I know that french fries aren't healthy but I guess if you eat it in moderation, its not bad at all (defensive hahaha).. I was busy on the computer the other day when suddenly my daughter interrupted me and say "Can you please take a picture of me Mom?" 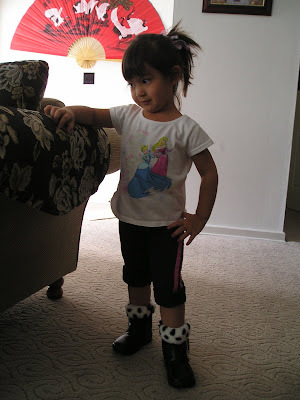 My little princess was in the mood for picture taking. 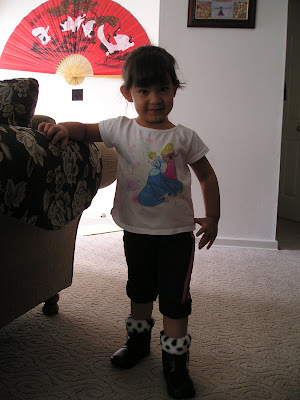 She was modeling her new boots that we bought at Osan International Market although it doesn't match with her outfit, she said that it's Okay because she was just trying them on hehehe. here's some more.. 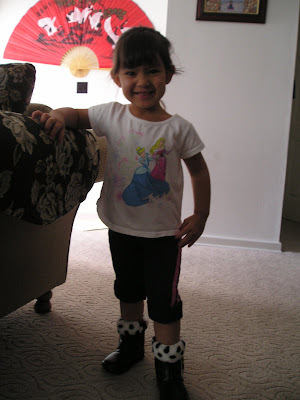 It's a joy having children, it makes your everyday living worthwhile and happy. I am so thankful to the Lord that He gave us two adorable kids that always makes our days exciting!